Electronic Logging Devices is an important regulatory and technical innovation that will impact the way you manage your daily business. It will affect all the drivers necessary for the registration and, in many cases, it will change the way it manages the controller’s activities. E-Track Mobile can help you understand the regulations and put your organization in an electronic record solution that will provide long-term compliance and ease of use for both drivers and fleet managers. E-Track Mobile eliminates the hassle of paper-based records and service hour’s records that combine cutting-edge hardware connected to the vehicle with an easy-to-use mobile application. e-Track Mobile for Android and iOS smart phones is an electronic device registration (ELD) solution allowing drivers to easily update service status records to ensure compliance with the latest requirements. Federal Motor Carrier Safety Administration (FMCSA). A combined hardware and software solution that integrates with our Neotrack and Neotask Suite provides detailed vehicle and driver data automatically and in real time. The result reduces paperwork and avoids unintentional HOS infractions and user errors, common when using traditional registration systems. What is the electronic recording device, or ELD? The simplest of explanations, ELD is the solution that allows drivers in the transportation industry to easily track service hours to maintain HOS compliance. All CDL drivers are required to use an ELD by December 2017 in order to maintain records in order to remain in compliance with the rule’s service hours. What does the electronic record device need to do? The most prominent benefit associated with electronic logs is the ability to pre-plan all the trips in advance. This will assist the truck drivers to stay away from frustration and make their lives easy. On average, a truck driver fills out 240 RODS in a given year. An ELECTRONIC LOGGING DEVICES can potentially reduce the amount of time taken by drivers to their hours of service by up to 19 hours per year. It can also help them to save a considerable amount of money throughout the entire journey. As a result, it would financially benefit the trucking company in the long run. This helps debunk the common misconception that the incorporation of ELDs will increase the likelihood of owner / operators out of business due to the perceived cost to get things in order. After making the switch to the ELDs, you will not have to round up to the nearest 15 minutes, but instead the closest minute that results in more accurate miles registers. What can I expect to pay to incorporate an ELD? Years ago many fleets pay more than $ 2,500 per device. Today, technology and performance has only gotten better and more affordable. As hardware costs have fallen, the prices of common DRM have decreased considerably. 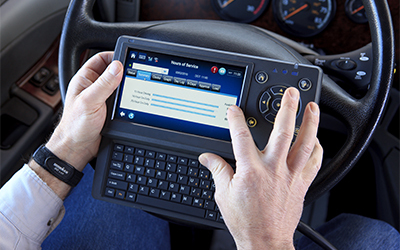 FMCSA estimates that the cost of an ELD will be $ 495 per truck on an average annual basis. Many assume that the information will be transmitted to the police and / or DOT automatically. The truth is an ELD is simply to replace the paper record book. No data is being transmitted to activate any violations. There are also provisions on privacy in place to give drivers more peace of mind. When it comes to this, the Transportation Department will not play big brother to monitor all their movements. It will allow a faster road inspection and maintain a higher level of accuracy. Does my Smartphone work like ELD? A Smartphone or tablet alone will not be enough to meet the needs of ELD. In order to comply with compliance, the device must be certified and synchronized with the vehicle’s engine. Next What does it take to pay less for car insurance?